When it comes to Argentinian food, your first thought may be of succulent steaks accompanied by full-bodied Malbec wines. But what if you’re not one of those steak lovers? Or if red wine is not your go to drink? Rest reassured, there is more to Argentinian cuisine than beef and Malbec wines! Rest assured, you can find delicious and enjoyable authentic food experiences in Argentina that go beyond beef and Malbec wines. Argentina’s cuisine has been largely influenced by European immigrants from Spain and Italy. Thick-crusted pizza and homemade pasta are the culinary legacy of Italian immigrants. The Spainish brought empanadas, which typically are filled with beef or chicken but also can be made with veggies and cheese. One example of an authentic Argentine classic inspired by Italian immigrants is the Milanesa. Crispy and savory, milanesa is a thin cut of protein usually beef, dipped in eggs, covered with breadcrumbs, and then fried in oil. 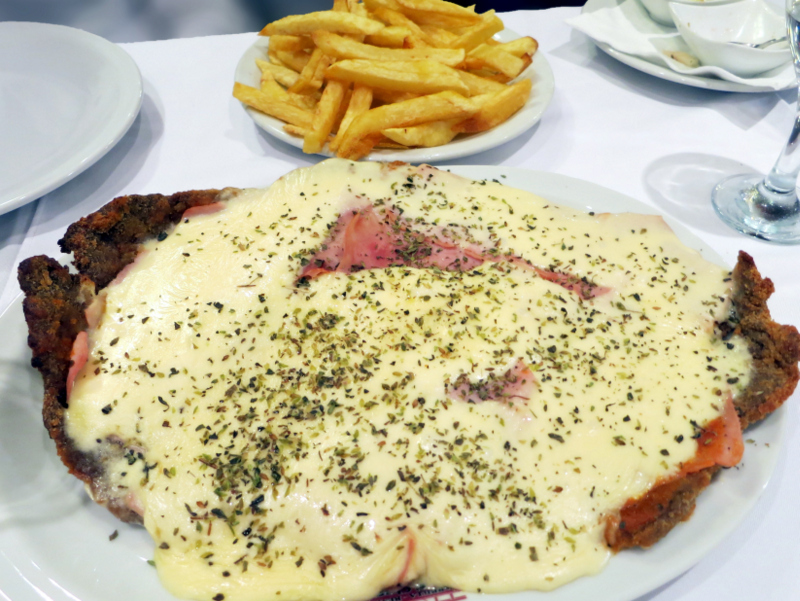 Milanesa is normally served with a plate of fries, mashed potatoes, or salad. But wait! Can you really stay away from beef? The good news is, you can. You will find specialties like milanesa made with chicken, veal, codfish, and even vegetarian options such as soy and quinoa. Find the variety that best suits your mood and indulge! Outside of Buenos Aires, cuisine becomes much more local and regional. For example, in the Andean Northwest, the food is heavily influenced by indigenous communities. Here you can enjoy dishes made with local produce such as quinoa and papas andinas (Andean potatoes). One of the most surprising is the hundreds of varieties of papas andinas. From round and green native potatoes to tri-colored red, yellow and purple ones, you can explore a wide range of flavors and tastes. In Patagonia and the Lake Regions, you will be surprised by the delicious fish and seafood. 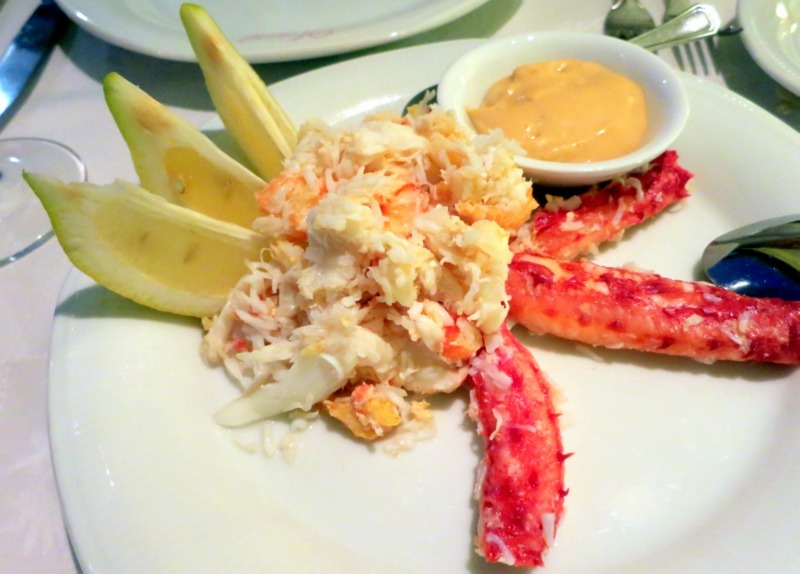 Tempt yourself with centolla (southern king crab) in Ushuaia. Alternatively, taste the freshest trucha (trout) from the great lakes of Bariloche. While Malbec wines may take the fame, few know about the emblematic white wine of Argentina called Torrontés. This grape grows nowhere else in the world, but in Argentina. The vineyards in Cafayate, located in the province of Salta, are the highest vineyards in the world. Growing at 1750 meters above sea level, Torrontés vines grow higher than the vines of Mendoza, Burgundy and Bordeaux in France, or Napa Valley in the U.S.
Torrontés wines are light yellow in color with golden or green hues. The taste is a strong concentration of light and fruity flavors. What might look like a sweet wine, is refreshingly acidic. So make sure you think beyond Malbec and try the deliciously refreshing Torrontés white wines. Eating meat-free in Argentina is not as difficult as most people think. Even in the land of the succulent steak, you will find several vegetarian options. In Buenos Aires, vegetarian restaurants are popping up all over the place. There are even organic farmers markets that sell vegetarian and gluten-free products. Across Argentina, you will also find many grocery stores with dedicated sections selling vegetarian and gluten free options. There are also health food stores called dietética where non-meat eaters can find a range of alternatives. Outside the Capital and in the north of Argentina, restaurants in smaller towns like Salta or even Tilcara, offer vegetarian menu items. One popular website you can use to find vegetarian and vegan restaurants in Argentina is HappyCow. There’s More to Argentinian Cuisine Than Beef and Malbec Wines! Argentina is blessed with incredible natural resources, from the fertile plains of the pampas, to the oceans and Andes Mountains. Take the time to appreciate culinary specialties from the local regions where they are farmed and grown. Rest assured, you can find delicious and enjoyable authentic food experiences in Argentina that go beyond beef and Malbec wines. Jump over and connect with them on social media via Facebook, Instagram, Pinterest, You Tube and Twitter. Thrilled to hear that you liked the article! It is summertime in Feb in Buenos Aires so it is the perfect time to go. You will have a blast! I would be pretty happy with the beef and Malbac wines! Everything looks delicious, I would try it all. Glad to hear Candy! Indeed there are so many great dishes and regional food specialties in Argentina. You should definitively taste it! 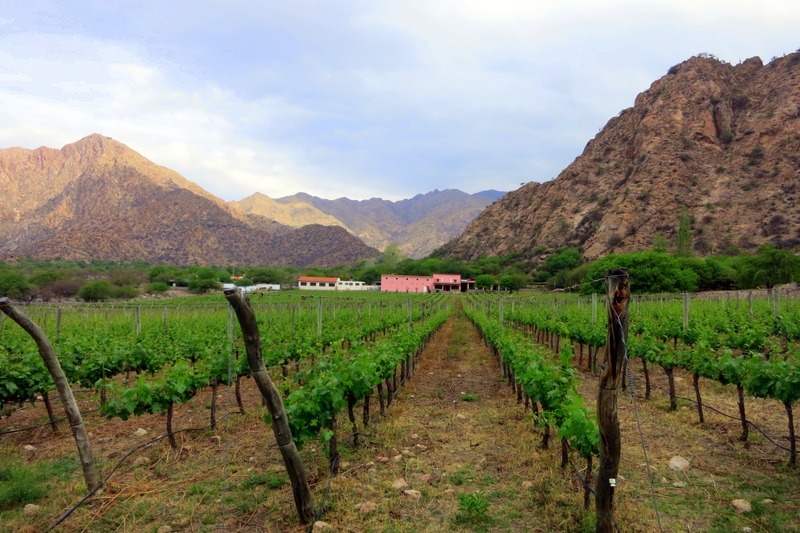 While I am a huge fan of Malbec wine, Cafayate wine sounds rather interesting. And after having visiting the Andean Region of Peru, I can only imagine how delicious the food is in Northwestern Argentina. Thanks for the recommendations! You are welcome Ray! Cafayate wines are really a must try. Not as well-known as Malbec wines but definitively worth a visit! I love king crab! I’d definitely trade seafood for beef. Wish I was there now instead of at home! Yes Argentina has delicious seafood too! The Atlantic coast, Ushuaia and Patagonia will be your best bet! One of the best articles I have read in the last months, Megan, thanks so much for bringing it up! I pinned it and stumbled it. As regards the article, I love both steaks and Malbec, but I had no idea about Torrontés. It sounds divine. Thank you Svetoslav, so glad to hear that you liked the article! Yes Torrontés is a wonderful surprise. Argentina is so well-known for its steak that it is hard to think that they offer vegetarian and vegan options. Nonetheless, you will find tasty vegetarian dishes. Never tried any of these before but they all look really appetizing and i would love to try them soon. I am sure that I will enjoy it. I am glad you touched on gluten free – my husband is a celiac and he hates to travel out of fear of being sick or not finding food to eat. Also doesn’t help that he is picky. Glad you found your menu items :) Argentina has great seafood options. 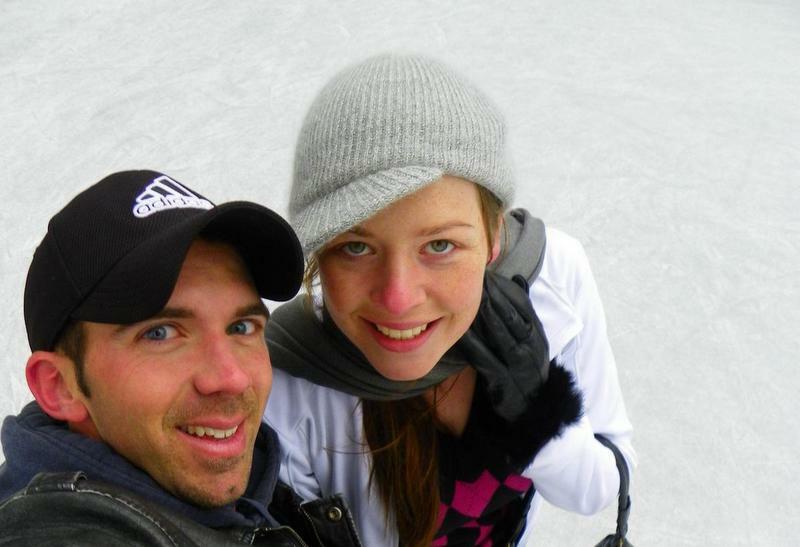 You will enjoy traveling through Argentina beautiful landscape and amazing food! Argentinian have mastered the art of making ice-cream! And you cannot go wrong with Freddo :) We loved the ability to shop at any corner store for fresh fruits and vegetables. For Argentine wines we recommend going to Mendoza and Cafayate. It takes wine tasting to another level! Lovely post, Meg! I seem to have missed reading this post earlier. There are many amazing things about the Argentinian food that you’ve so nicely mentioned. I am feeling hungry again. Thanks for sharing this post. I look forward to reading more delicious posts like these from you! Cheers and have a lovely weekend. I am glad to learn of the vegetarian options. This is going to be useful during our trip to South America. Still don’t know when. Thanks. Thank you Nisha! Yes Argentina has more vegetarian options than we think. You will find buffet restaurant with a lot of salads and vegetable dishes. You will love it there! Thanks for the tip Ve – sounds quite incredible! Your post reminded my why I love Argentina so much! European influences galore and lots of good food! I loved their varieties of papas andinas. Your post made me want to go back to Buenos Aires. Thanks so much and so glad you enjoyed the article about Argentina food. 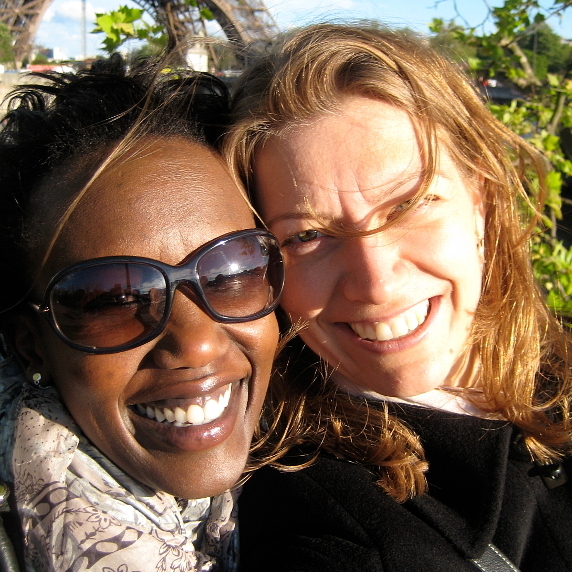 The food is truly amazing (and the wines) and like you, we long to go back as well! !